Could always build the Super 914. Works great with the Xb. As some may have speculated, 914 scoop needs PD1850 or V18-1000 or even stronger motor to work. Mush motor like 18 XB will have a massive dip in Pmax at 45Hz and will be down to 220 watts handling around 45Hz. V18-1000 will have no problems with Pmax and will be able to accept 1000 watts from 27Hz and up, all the way though its passband. Yep you guessed it, black line is V18-1000, red is 18 XB. The XB just doesn't have a strong enough motor to control all the air in the long horn behind it. 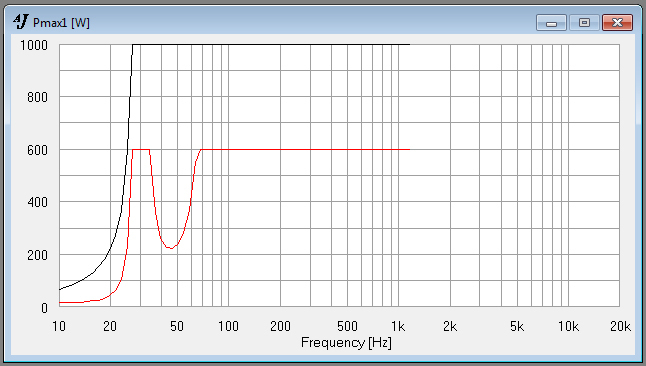 Pmax isn't too important and shouldn't be 'the' deciding factor for output SPL, but if what goes in comes out then 1000 watts is going to make more noise than 220 watts, assuming efficiency is similar between both drivers. Well I could see that it would always want a bigger driver, but have to admit wasn't prepared for 220w. Little knowledge etc. Shame, I was prepared for 500w and would have been happy at that as I have 650ish proper watts for each driver. Has anyone built and used the Super 914? I am interested in this design any feedback on this one? What does this version sound like and will the Ciare SW18 work well in this box? Mini Scoop over Full Size???... this will start another war. 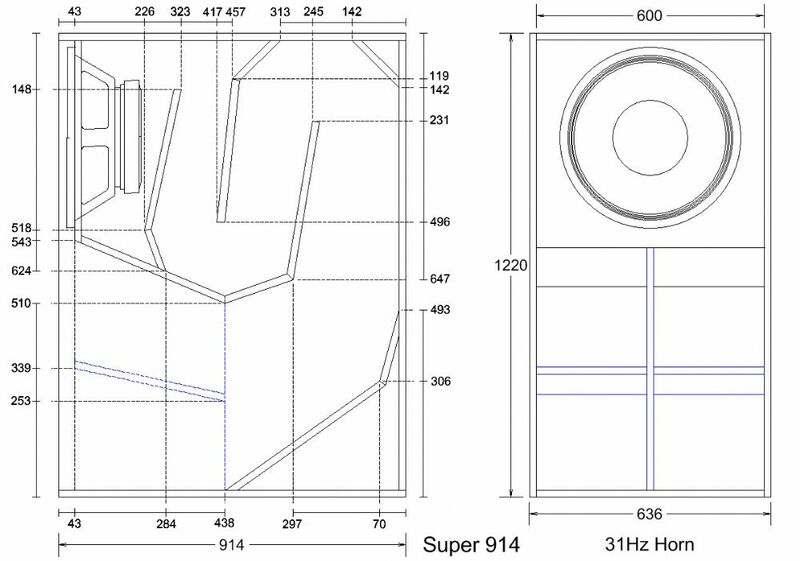 I just want to know if anyone has really built the Super 914 and how does it perform... Seems you are saying build the mini over the Super 914.